I wonder if one of the Encore guys can provide some information about travel benefits. Is it possible to fly 3-4 pairings solid and have the rest of the month free? seniority - yes.. but how about first year as an FO ? Also - what would you pay when getting on board the 76 STBY going to London for example. taxes only? And last: can you fly at a discounted rates with other WJ partner airlines. You know they work 23 days a month right? Sorry to hear about your complications. Calgary to London Gatwick for tomorrow, 60 bucks for standby, 98 for confirmed, with employee pricing at WestJet. Your interline benefits starts after being here 6 months. Our bidding system is NOT seniority based. You bid what you want, from when you are cut loose on the line, and a computer software tries to give everybody what they want. It’s called a satisfaction score, and it’s usually in the high 80s %. There’s always a loser, but I get a bad month maybe once every 6 months. Usually get what I want. You definitely won’t be the first person in our company to commute from Europe. It will be hard at first, until you hit the 6 month mark. And you will spend most of your time on the road. The easiest international employee travel for work is the US. But I’ve seen a few from Europe. There are lots of companies that offer 2 weeks on, 2 weeks off and have flight benefits. Most of them pay better than Encore too. Or voyageur or something, flying 705 machines and living wherever you want! Jumpseat benefits start day one. ZED travel takes six months. WJ travel benefits start within 10 days. Encore works 20 days a month max, not 23 as previously posted. The avg days off per month for FO's on the last bid was 14 days/month and 12 days for Captains. Seniority is irrelevant as previously mentioned. Flying WJ to and from Europe can be tricky as the loads are pretty high. But with all the reciprocal Jumpseat there should be a way. It is 18 days max, and you will be scheduled for 18 days. They won't schedule you more than 6 days of work in a row. So, at best, you're looking at 10-11 days off in a row IF your schedule worked out perfectly, which it probably won't. This is a very difficult commuting job ... you'll burn yourself out doing it back and forth between London and Calgary... There are other jobs out there that will be much easier and better paying for your situation. As someone who commuted from the US to Encore, I would not recommend trying to commute from Europe on the Encore schedule. Living in base or a short commute is definitely manageable with the Encore schedule, but commuting to a difference country was quite hard. The fees and taxes on employee standby with WJ do add up. For example, the Gatwick-Calgary leg has $160 or so worth of fees and taxes. Don't get me wrong, still pretty great for a trans-Atlantic flight, but doing that a couple times a month just to go to work adds up. The non-seniority part of the Encore schedule cannot be stressed enough. It gets very hard to be able to get a schedule that works really well for commuting. You may have some months that work great, but you'll also have some months where you don't get your days off grouped together. For example, this was a month that I had even though I was bidding for commutable pairings: A 4 day pairing, 2 days off, a 6 day pairing that ends late at night, 3 days off, a 4 day pairing, 3 days off, a 1 day pairing, 1 day off, a 3 day pairing, and then 4 days off. Pretty hard to get home and actually feel rested. Again, on the surface that's not that bad a schedule overall especially if you live in base, but for commuting purposes, it was very challenging. Add in the fact that right now there's only one Gatwick flight a day (from each of the Canadian Destinations) so if you do get bumped, you'll have challenges. Loads tend to be high and the trans-Atlantic flight is a red-eye. I'd really not recommend trying to commute from Europe. 23 days is what I've been told. Is it true that Encore does not consider getting you home up to 03:59 the morning of your day off to be working that day? Whoever told you that was incorrect. Contract outlines its 18 days max. But make no mistake, most pilots are getting the full 18 days scheduled. And if, like the OP, you're trying to commute from Europe, there will definitely be a few days each month where you need to come in the day before your pairing starts or you can't get out til the day after your pairing ends. Overtime kicks in after 3am. However, the few times that IROPs caused delays, they weren't trying to get us back in the wee hours of the morning, they just put us up at a hotel in the destination and we flew out the next day getting OT. Not saying it would never be an issue, but they're not scheduling pairings that finish at 2:57am - things have to have gone really sideways if you're even in the ballpark where this becomes an issue. 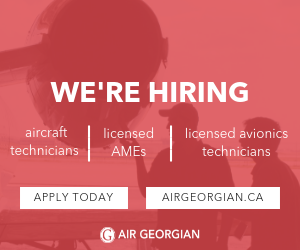 Have you considered applying at Sunwing? They have European deployments every summer (although I hear they are going senior) and I would imagine a much easier to commute schedule during the winter. Thanks for the clarification JBI.